We understand that buying or selling a Commercial Property is more than just a transaction: it’s a investment for your future. That’s why our team of highly-seasoned real estate professionals are dedicated to providing exceptional, personalized service for all of our clients. We take great pride in the relationships we build and always work relentlessly on the client’s behalf to help them achieve their investment goals. Kyle has been involved in Commercial Real Estate for 7 years, as a Multifamily Property Investor himself he brings first hand knowledge into the ever growing industry. Recently enrolled as a CCIM Candidate, Kyle offers new innovative techniques and investment analyzation in the field of income producing properties. As a member of T&C Management and Brokerage team lead by Chuck Sheldon – CCIM. 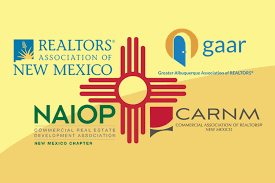 We offer clients 40+ years in the Commercial Industry, with a strong presence in New Mexico’s Commercial market. T&C Management and Brokerage achieves Best-In-Class solutions for owners through ethical and moral decisions. Ever-changing environments and economics require well-crafted, decision making ability. At T&C we focus on asset management from acquisition through liquidation, goodwill in the community, and resident pride are all focal points for our success. Kyles main goal is to build long lasting relationships with clients by building business relations of success within their Real Estate needs. Whether buying or selling we will put our clients best interest first with honesty, integrity, and professionalism. We look forward to building new relations with all prospective clients.